The Quintero y Hermano Nacionales is a beautiful bold yet flavorful Corona, 5.5” (140mm) long, of 41 ring gauge, and comes in a 25 cigars box. This size by Quintero y Hermano is one of the best of the brand. 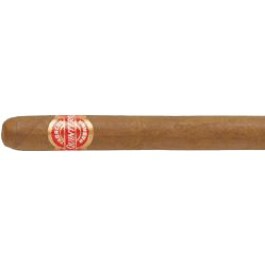 No one asks more of it than what it is, a good, discrete and lovable little cigar. A very affordable cigar for an everyday smoke.